During a meeting at the Butteville Store about significantly altered boating rules in the portion of the Willamette River near Wilsonville known as the Newberg Pool, the mood of the room vacillated between outrage and a feeling of solidarity among riverside homeowners — many of whom say they have watched violent wakes decimate their docks and embankments. "If you look at the entire stretch of the river ... we are going to have problems. WEDs (wake enhancement devices), people pushed to the center line, problems with surfing," Oregon River Safety Preservation Alliance member Beth Biggs said at the meeting. "We all have to work together. We have got to stay on them (the Marine Board). We have to be organized about how we go about this because the wake sports industry is well funded and well oiled." The meeting hosted by ORSPA (a river safety organization packed with many Wilsonville residents) Sunday, Jan. 27 occurred just a few days after the State Marine Board unanimously approved the rule changes Tuesday, Jan. 22. The new rules for Willamette River mile 30 to 50 (roughly between Newberg and West Linn) were largely based on a proposal produced by two members of a Legislative working group shaped during the formulation of a bill that would have created a taskforce to conduct a study of boating along the river. After the bill stalled at the 2018 legislative session, and the task force along with it, then House District 26 Rep. Richard Vial enlisted ORSPA President Steve Gregg and Active Water Sports President Matt Radich to concoct a new proposal together. Gregg, a Wilsonville resident, represented homeowners along the river who have noticed increasingly ferocious wakes in recent years due to bigger boat sizes and WEDs and Radich represented the water sports industry and river recreators. The Marine Board's rule changes mostly reflect Gregg and Radich's proposal. The adopted rules lifted the previous ban on WEDs in the Newberg Pool and replaced it with river zoning rules that require wake boarders to remain 200 feet away from docks and wake surfers to remain 300 feet away from docks (or occupy the center of the river if that is not possible) and created zones where wakesurfing would effectively be prohibited. The rules were designed to organize the river and prevent different kinds of users from clashing and were influenced by a study along the section of the river conducted last summer by University of Tasmania Associate Professor Gregor MacFarlane, who found that distance can significantly weaken wake impact. At the meeting when the rule changes were approved, Marine Board member Vince Castronovo said the proposal was the best he had seen to address conflicts in the Newberg Pool. "I think everyone gets a little bit of everything in this plan. It's not perfect. But I really think they (Gregg and Radich) did a great job," he said. Most attendees of the ORSPA meeting who expressed unhappiness with the rule changes live along a portion of the river near the Route 219 Bridge (river mile 41.4 to mile 42.4 south of Newberg) some referred to as the "hell zone." They are upset because the zone was designated to allow wake surfing while many other portions of the river will not allow wakesurfing. Leslie Harris, a Willamette River homeowner who is not a member of ORSPA and lives between river mile 41.4 and 42.4, said big wakes have damaged her dock's foundation to the point that it rocks back and forth during boating season. Harris is irate about the rule changes. She thinks wake surfing activity will now funnel in front of her and her neighbors' homes and away from the homes of members of ORSPA. While her mile-long section of the river allows wakesurfing, using a boat with a registered length of 18 feet or longer for the purpose of wakesurfing in the surrounding 7.7 miles is prohibited (though wakeboarding would be allowed). Harris was also upset that she and her neighbors weren't consulted in the rulemaking process and attendees of the Butteville Store meeting echoed her viewpoint, though some did provide public comment to the Marine Board. Harris also said she sent a petition to the State Marine Board opposing the rule changes and collected over 40 signatures but hadn't heard a reply. The Marine Board's staff report, however, states that 80 public comments it received were in favor of the changes while 41 were opposed. "These people, ORSPA, have made a deal with the devil," Harris told the Spokesman days before the Butteville Store meeting. "They save their own homes and put it (wake surfing activity) in front of ours. Our place is a one-mile area where all the wakesurfing is going to be horrendous. It's not one boat going down the river. There's going to be multiple boats all concentrated here." In a letter sent to the Marine Board explaining his and Radich's proposal, Gregg said the mile 41.4-42.4 section was chosen as a wake surfing zone because there aren't as many docks there as in Wilsonville and other areas but said that the "location of this zone was the most difficult for us to select." Gregg also acknowledged that he and Radich hadn't performed public outreach prior to completing the proposal. In turn, he advocated for the Board to set up a master planning process for the Newberg Pool. Also, some ORSPA representatives said the Marine Board didn't do enough to inform residents along the river that the impending changes, and they were surprised that the Marine Board didn't alter Gregg and Radich's proposal more significantly and that Vial's election loss and the retirement of former Charbonneau representative Bill Kennemer threw the process out of whack. Though he agreed that there would likely be more wake surfing activity in the less regulated areas of the river, Radich hopes that if wake surfers and wake boarders follow the rules, dock damage would be mitigated. "A surf boat at 300 feet has the same wave energy as a normal boat at 100 feet," he said. "What it comes down to is people understanding the new rules and then following them." ORSPA member Mike Farrell agreed that the rule changes would lead to less dock damage even in areas where wakesurfing would be permitted. "Beforehand they (wake surfing boaters) were 100 feet from everyone's dock doing whatever they wanted and they knew nothing was going to happen to them," he said. Harris and other residents were also skeptical that officers in Marion, Yamhill and Clackamas County will do enough to enforce the rules. The Marine Board was aware of that concern. In turn, it passed an amendment to the rule changes stipulating a "special emphasis" for law enforcement along the river. 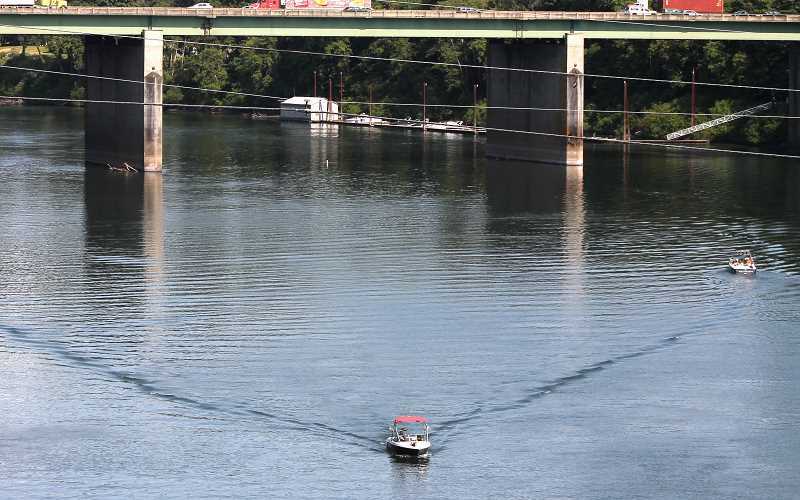 Marine Board Boat Safety Manager Randy Henry told the Spokesman that the emphasis could mean more frequent patrols, video projects and signage projects, though specifics are still being sorted out. While Henry said blanketing the river with buoys to remind people of rules and zones isn't feasible, he said signs at access points and buoys at the edges of zones could help remind boaters about where they are allowed to go. He also said the rules will be easier to enforce than the previous ban on WEDs because WEDs aren't visible whereas officers can more easily spot boaters veering too close to docks. Henry has heard concerns that the wakeboarding and wakesurfing zones could cause congestion, particularly in sections that are less than 600 feet wide, and the Marine Board's staff report acknowledges that the new rules "is anticipated to create narrow channels for operation, particularly during high use times." But upon reviewing boat accidents in the region, Henry said the vast majority of accidents have taken place when boaters are far away from other boats. "They are not occuring in the congested areas. When people are in a congested area they are more vigilant; they are being more careful," Henry said. "That's something we will definitely focus on next summer in those congested areas is making sure people are maintaining a proper lookout, maintaining safety and abiding by the new rules." From Gregg and Radich's initial proposal, the Marine Board nixed a rule requiring that operators of non-motorized boats remain within 100 feet of the shoreline during the boating season and shortened a no-wake zone near the Molalla River by .4 miles, among other changes. "When combined the non-motorized restriction and the wakesurfers' dock restriction may increase use of the same or nearby areas of the river channel by these boat uses," the Marine Board's staff report wrote about the initial proposal. "Alternatively, this combination of regulations may result in increased levels of river crossing by non-motorized boats in order to navigate on the side of the river with docks present." Also, the Marine Board agreed to revisit the changes in one year, three years and five years and to form a citizen committee that would provide input into how the changes are going. 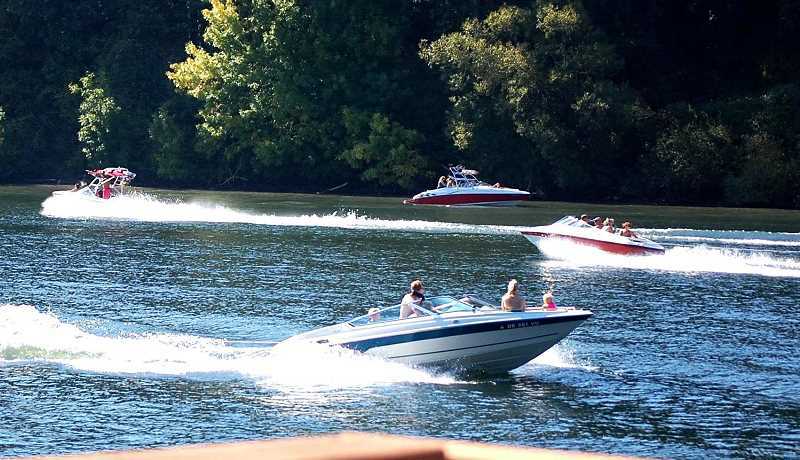 Though the Marine Board's approval means that the rules will become official in time for boating season, attendees of the Butteville meeting, most of whom live in Wilsonville, Butteville or a nearby area, agreed to commit to organizing and mobilizing together to influence future rule changes and legislation. They also agreed that opening lines of communication among homeowners and collaborating with a wider reach of residents along the river would be a goal moving forward and ORSPA representatives encouraged attendees to document damages to their dock and reckless activity along the river and to tell legislators and the Marine Board about them. "Don't wait for a public meeting to get your input in and they need to see it (input) a lot," ORSPA member Suzanne Brown said. ORSPA lobbyist Greg Leo also said State Rep. Karin Powers (D-Milwaukie) is proposing a bill that would provide more funding for enforcement along Oregon rivers while Radich said there is a bill that would require boaters in the Newberg Pool and possibly other sections of the river to attain a towed water sports educational endorsement prior to using the river. "I don't think this issue is over by a long shot," Leo said at the Butteville meeting. "I think this is going to be a continuing process for awhile." "It depends on your will as the public getting the word out and making the changes."